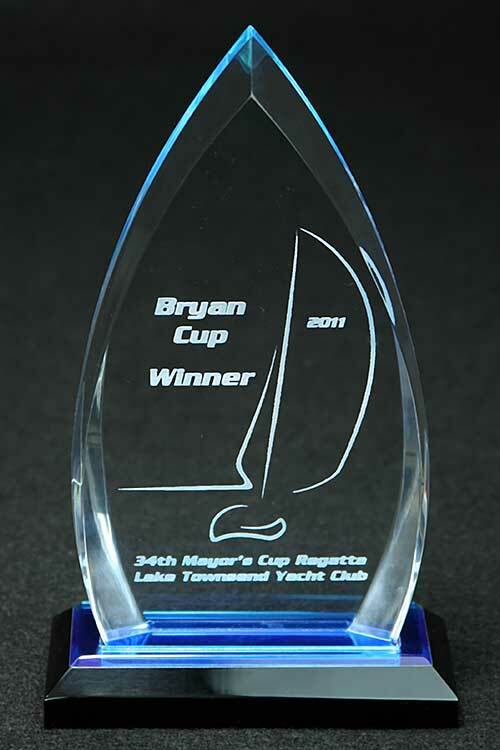 This heavy acrylic trophy has a shape reminiscent of the hull of a boat and makes a very handsome award. It is clear with a base that reflects blue up through. 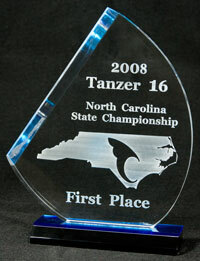 We engrave on the back for a look of great depth. It comes in two sizes, 7.5" tall and 8.5" tall.